Northern Isles New Energy Solutions (NINES) aims to deliver a secure, affordable and reliable energy system for Shetland. The Shetland islands are not connected to the national electricity network, and the power station which meets most of the current energy demand is ageing. This presents an opportunity to investigate how Shetland’s energy demand can be met in a more efficient and sustainable manner. This coincides with the ability and desire to meet more of our energy needs from renewable sources. The project is led by Scottish Hydro Electric Power Distribution (SHEPD), which is the owner and operator of the energy distribution network in Shetland. 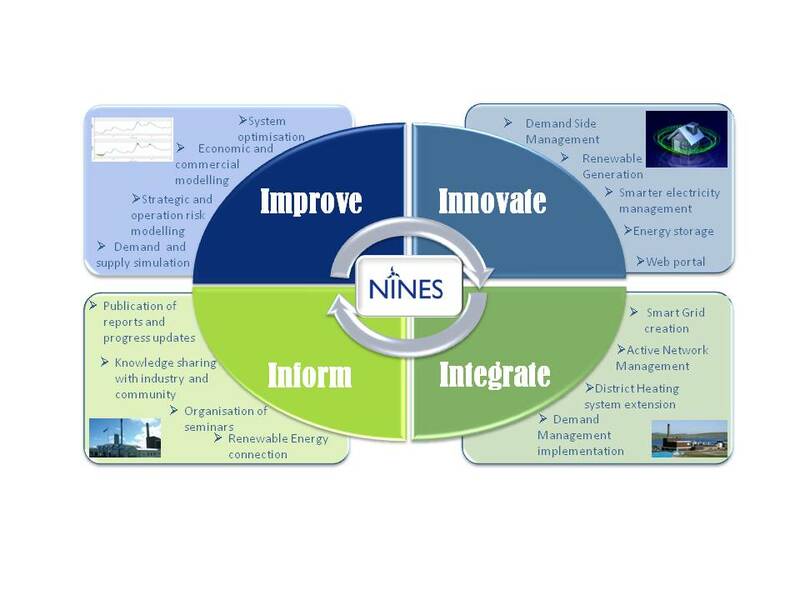 To implement and trial the new technologies, NINES has attracted £34m funding from Ofgem, DECC and Hjaltland Housing Association. As part of wider plans for Shetland, NINES is scheduled to last from November 2011 to the end of December 2016. During the first phase of the project a necessary infrastructure will be implemented to enable active management of energy demand, generation and energy storage assets. This will help to achieve objectives of reducing energy demand and energy production by fossil fuels. Whereas the next phase of the project will see upgrade or replacement of Lerwick Power Station depending on the lessons learned from the first phase. NINES is expected to significantly benefit the local community – ensuring a secure and affordable energy provision for generations to come.